Before I moved to Shanghai, there was a specific combination of three colors - Red, Lemon, and Olive - that I closely associated with China. You see these colors on the flag (red with yellow stars), military uniforms, and government crests. Now that I've lived here for a while, I think the true color of China is indigo. From traditional Blue Nankeen Cloth to the hand-tied shiboris and batiks of China's ethnic minorities, indigo is a huge element of the textile tradition here. 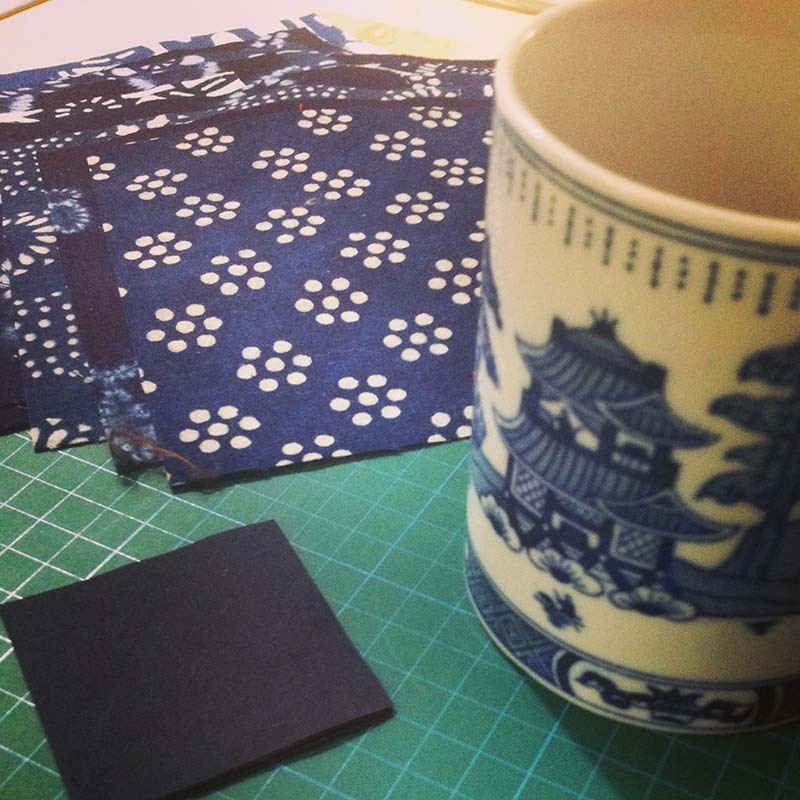 Indigo-dyed fabrics themselves are lovely to work with. They have a very specific vegetal smell from the plant material still in the cloth, and the darkest of them turn my fingers blue. I'm currently working on a quilt for my Dad using more than 40 different indigo-dyed cottons, and I'm falling in love with the materials all over again.